What are Physical Therapy and Occupational Therapy? Physical therapists are movement specialists who focus on helping patients achieve peak performance. “The goal is to foster independence so that our patients can feel confident that they can return to a desired level of function,” says Kenneth Kim DPT ’11, an instructor of clinical physical therapy at the USC Division of Biokinesiology and Physical Therapy. Physical therapists start by figuring out a patient’s problems at the first consultation. Then they set up a plan to minimize the risk of the same thing happening again by addressing the various impairments and faulty movements. “It’s giving someone the skill set to help manage symptoms early on, with the hope of improving their function over time,” Kim says. Occupational therapists aim to restore or improve patients’ abilities to accomplish activities that are part of everyday life — whether that’s re-learning how to hold a toothbrush after a stroke or adopting successful strategies to exercise and eat more healthfully. “It’s healing through doing,” says Ashley Uyeshiro Simon ’08, MA ’10, OTD ’11, an associate professor at the USC Chan Division of Occupational Science and Occupational Therapy. It’s a national movement, part of efforts to make health care more coordinated and efficient. “But USC is a place that has been doing it for a long time,” says Chantelle Rice Collins ’07, MA ’08, OTD ’09, director of the USC Occupational Therapy Faculty Practice. And students in the university’s physical and occupational therapy graduate programs — both rated in the top three in the nation by U.S. News & World Report — get exposure to that integrated care during their training. Quit smoking and lose weight. They’re doctors’ orders because they reduce risk of disease. Yet they require changing habits that are hard to break. USC occupational therapists developed an approach called Lifestyle Redesign to help patients revamp their daily habits and routines. The program was pioneered in the 1990s for aging adults by Florence Clark PhD ’82, USC professor emerita of occupational science and occupational therapy. It has since been shown to improve quality of life and reduce health care costs for patients of all ages and backgrounds. The process takes a holistic look at the body and works in small steps. Let’s say a patient mostly eats fast food, but she wants to adopt a better diet. An occupational therapist might help the woman set an achievable goal of swapping fast food for a healthful meal one night a week. Even little successes can have a big impact, says Halle. 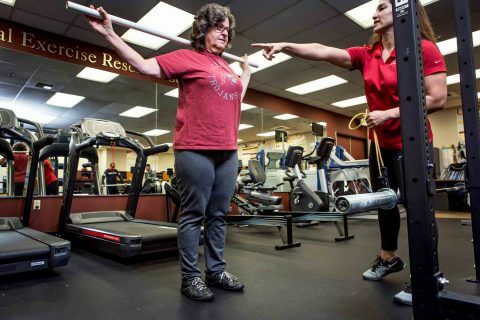 At USC Chan, Lifestyle Redesign is just one of the many approaches used by occupational therapists to help patients lower their disease risk by countering obesity, chronic pain, diabetes, fatigue and stress. Programs are individualized, and the occupational therapists meet often with patients to keep them on track. Sometimes these professionals join with a physician on rounds, or doctors may finish a consultation and hand their patient off to an occupational therapist to work with them more closely. At one USC-affiliated clinic in Orange County, therapists offer group sessions around lifestyle topics like healthy cooking or learning tai chi. Halle, who even makes house calls, visits older adults to help ensure they can stay safe in their residences and avoid injury. Occupational therapists can make sure a patient can get in and out of the shower without risk of slipping, for example. It’s part of a growing trend to address patients’ needs at home. Beth Pyatak ’02, MA ’04, PhD ’10, MS ’15, an assistant professor at USC Chan, studies how Lifestyle Redesign can help people manage their diabetes. 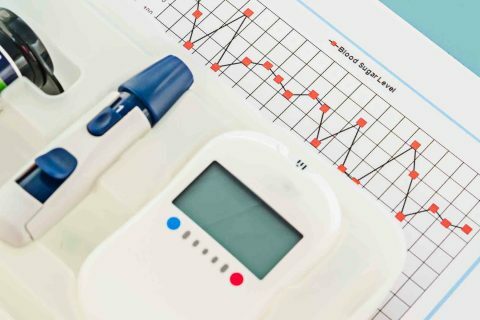 In her research, she has found that young adults with diabetes may struggle to keep their blood sugar at the right level, putting them at risk for complications like blindness or kidney failure. Occupational therapists in her program, called Resilient, Empowered, Active Living with Diabetes (REAL Diabetes), recognized that life can get in the way of managing diabetes. Some people might work long hours without breaks for checking blood sugar. Others might avoid taking their insulin because they dislike needles. Or patients might live in an area where it’s unsafe to go for a jog. 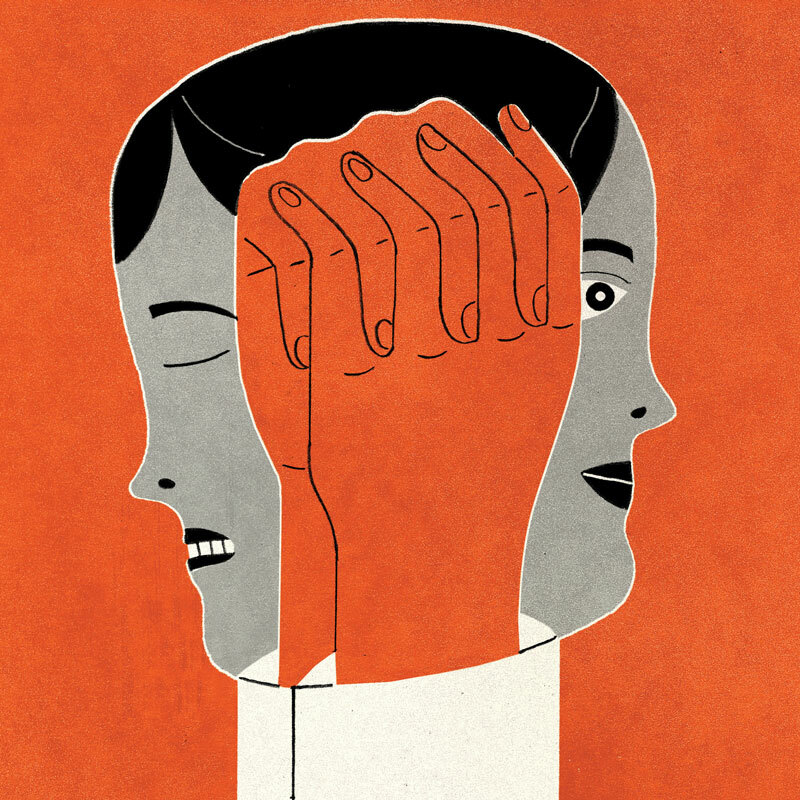 Once they understand patients’ challenges, the therapists create an individualized care plan. Over 12 sessions, occupational therapists suggest changes that make it easier to deal with diabetes. For example, they might recommend that someone who fears needles apply ice before the injection or learn relaxation strategies. Occupational therapists also send text messages and electronic reminders. Now, Pyatak is teaming up with Jesús Díaz ’05, MA ’08, OTD ’09, associate professor of research, to test her program in a Los Angeles County+USC Medical Center clinic. Manuel Campa, medical director of the center’s Adult Primary Care West, has been impressed with the results so far. “Jesús’ work has been a gamechanger for a lot of our patients,” Campa says. For now, Díaz is focusing on the REAL Diabetes trial, but once that wraps up, Campa is excited to see how occupational therapy might help the clinic’s patients with other ongoing issues such as obesity, chronic pain and high blood pressure. Fatigue is one of the major struggles for people living with multiple sclerosis, a chronic neurological condition. Occupational therapist Ashley Uyeshiro Simon ’08, MA ’10, OTD ’11, associate professor at USC Chan, trains USC students to use Lifestyle Redesign to help these patients. Occupational therapists can work with patients on ways to avoid exhaustion. An action plan could include simple steps like buying pre-chopped vegetables, for example. It could also guide patients to prioritize their most important activities, so they know where to focus their energy. These professionals also can help patients struggling with chronic pain from conditions like fibromyalgia or arthritis. Physical therapy may be an option, too. While occupational therapists consider the activities patients perform as part of everyday life, physical therapists focus on movement. “We can analyze a person’s posture, look at the way someone moves, and understand what is ideal or optimal,” says Kenneth Kim DPT ’11, an instructor of clinical physical therapy at the USC Division of Biokinesiology and Physical Therapy. Once physical therapists understand where movement is going awry, they can design a plan to fix it. For those with back pain — one of the most common complaints that primary care doctors hear — Kim might focus on flexibility around the hip and look at the trunk muscles for stability issues. He also teaches his patients about pain management and self-care techniques. The long-term solution, Kim says, is exercise. Muscle pain often occurs when one muscle is overloaded, taking the burden that ought to be shared with other muscles. Physical therapists may treat back pain by strengthening the hips, which usually takes some of the pressure off the spine. The exercise prescription has value well beyond sports injuries or orthopedic pain. Physical therapy and exercise are also under study at USC for people with Alzheimer’s disease, Parkinson’s, prostate cancer or wounds. Christina Dieli-Conwright PhD ’09, MPH ’17 studies how it can help breast cancer survivors. “The main cause of death in breast cancer survivors is heart disease,” says Dieli-Conwright, assistant professor of research in biokinesiology and physical therapy. Some believe that the chemotherapy and radiation that are part of treatment may damage the cardiovascular system. In addition, patients in treatment might become less active or develop poor eating habits that persist longer than their cancer therapy. She recently tested a four-month exercise program for breast cancer survivors. At the study’s start, more than three out of four participants had high blood pressure, high cholesterol or excess body fat, all of which raise heart disease risk. Half of the participants worked out three times a week, while the other half didn’t. At the end of the published study, only 15 percent of the women who exercised still had a combination of heart disease risk actors, and their weight dropped. The benefits persisted three months after the study ended, as many of the women stayed active. The physical activity helps protect the women from heart disease, and maybe cancer, too: Women who are obese have a 60 percent higher chance of cancer recurrence than those who are not. With many studies showing the benefit of physical and occupational therapy for recovery, USC’s physicians and therapists are seeing the benefit of working together. Physical therapists like Kim regularly communicate with their patients’ doctors. 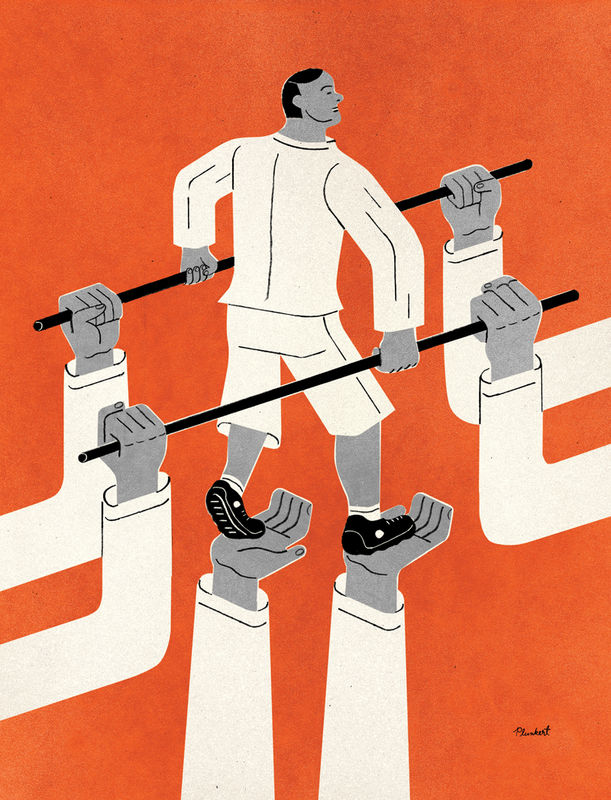 “I believe that the physicians now trust us quite a bit,” says Kim, since physical therapists are experts at identifying the root of a person’s mobility problems. It’s not uncommon for an orthopedic surgeon to send a patient to a physical therapist for evaluation. And if Kim needs to consult another health care expert to help a patient, he is quick to get on the phone. “We have to incorporate people who are more knowledgeable in other areas, and really get the best treatment possible,” he says. Similarly, the team at USC’s Headache and Neuralgia Center includes both occupational therapists and physical therapists. “It’s very helpful,” says physician Lauren Green, professor of neurology. For a patient with migraines, a variety of triggers could be at fault — a weakened or tight muscle in the neck or back, certain foods, stress or light. During appointments with her patients, Green can address some of those triggers, but she’s thrilled that occupational therapists can work with patients for much longer to identify triggers and develop plans to avoid them. An occupational therapist might help with stress management techniques, or suggest modifications to their workspace to improve lighting or ergonomics. Meanwhile, physical therapists can teach patients how to strengthen or relax those neck and back muscles. “That’s why our patients tend to get better … because of our unique team approach,” Green says. That kind of teamwork helps health care providers connect patients with the best care. But, Halle says, not all doctors know about everything occupational and physical therapy can do, so they might not offer a referral on their own. Since the passage of the Direct Access Law in 2014, California permits people to schedule appointments with a physical therapist directly. It’s also possible to do so with occupational therapists, but insurers may be more likely to pay if a physician provides a referral. If asked, doctors will often provide such a note, Uyeshiro Simon says.